If you have boys, you will soon be hearing them begging for Bungees! My boys started a couple of days before I got them in the mail, and they were SO excited! 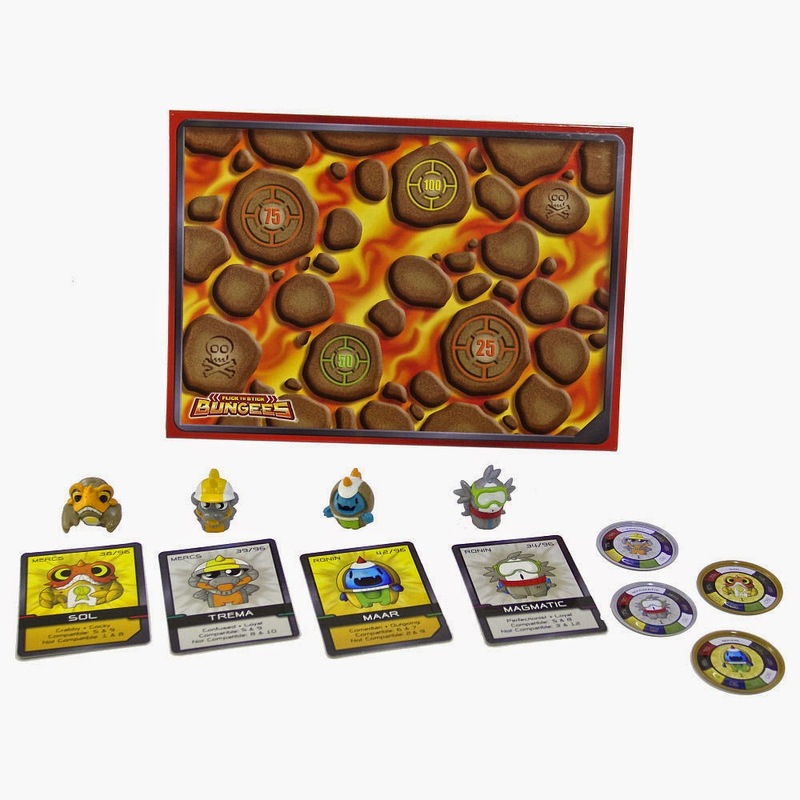 All you need to get started playing the game (you will need...well your kids will want..more than just the Deluxe Pack, but this will get them started!). So, how do you play? It's easy! 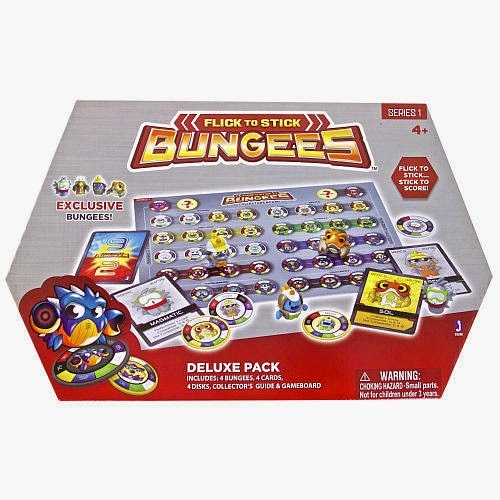 Basically, you flick your Bungee onto the board, and where it lands is how many points you get! Riley and Xander who are 7 and 9 had no problem figuring it out on their own. You can check out some cool videos and more here, and..
Make sure you “Like” BungeesWorld on Facebook and Follow Jazwares on Twitter.